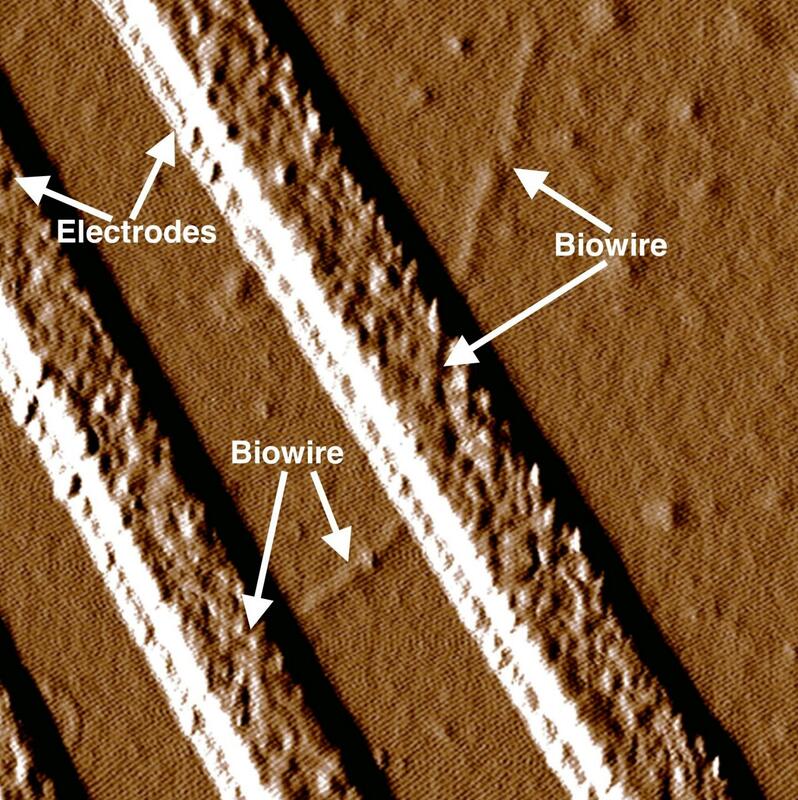 Bacteria naturally found in the soil could be the source of electrically conductive nanowires that could be used in compact electronic devices, sensors, and even in devices that could generate alternative fuels from natural sources. The wires, which are produced by genetic modification, are smaller even than those that can be made by industry using current methods. Moreover, they do not require harsh chemical processes or pollutants in the manufacture. The research was carried out by microbiologists at the University of Massachusetts Amherst, sponsored by the US Office of Naval Research, and led by Dr Derek Lovley. The team started with a microbe called Geobacter sulferreducens, which naturally produces conducting fibres made from proteins, that connect the bacterium to particles of iron oxide in the ground that support its growth. The current that it carries is too small to be useful for technology, but it is still measurable. The nanowires are also sensitive to changes in pH. This means, Lovely said, that they could be used in medical sensors that could be implanted, for example, in the heart or kidneys; in the heart, pH is an indicator of heart rate, while in the kidneys it indicates how well the organ is functioning. There are also applications in electronics as component size continues to shrink, while the researchers military sponsors are interested in the possibility of using such wires to feed current to modified microbes that can produce butanol as a fuel for military vehicles. Another defence application might be in sensors for unmanned vehicles to detect pollutants, toxic materials or traces of explosives. The researchers discuss their work in Small.